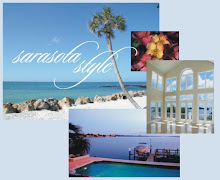 Some Siesta Key real estate listings include some of the most outstanding waterfront real estate available in Sarasota. The Key has been blessed with one of the best beaches in the world. Dr. Beach named Siesta Key Beach to his Top Beaches List numerous times and travel magazines and journals tout the quartz like sand worldwide. Real estate listings on Siesta Key include single family homes, condominiums, villas and town houses. Land closes to the beach, in the best condition are obviously the premium choices and finding a good value in this market is still in favor of the buyer. Siesta Key beach is pristine and residents and visitors enjoy walking, boating, shelling and fishing. Siesta Key Village offers beach and specialty shops, restaurants, cafes and a little night life too. The Sarasota MLS currently reports 580 Siesta Key real estate listings. There are 166 single family homes for sale price from $269,000 to $15,000,000. Condos, town houses and villas available currently on Siesta Key total 403. No need to get frustrating searching for Siesta Key real estate listings on your own! The John Allen Team can be reached at 941-544-6467. Give us a call right away, and we'll send you listings right away and update you on new listings until you find the Siesta Key real estate listing that works for you!